The hike to Harts Cove is an easy one — mostly downhill on a good trail that was marred in November by just a couple of muddy spots and washouts. The hike back out is when you’ll pay for the satisfaction of seeing a stunning ocean vista, watching the waves crash into a hidden cove and listening to the barks of unseen sea lions. The trail descends 800 feet in about 2.5 miles from the trailhead to a meadow that overlooks Harts Cove. It would have been another 150 feet down to the shore; while the main trail to the overlook was easy to follow, finding a path down to the shore was not so easy, and I decided to pass on that trip on this chilly but sunny early winter day. You’ll cross Cliff Creek and Chitwood Creek along the trail. On this day, a small bridge over Chitwood Creek was washed out, but the creek is small at this point and was still easily crossed without the bridge. 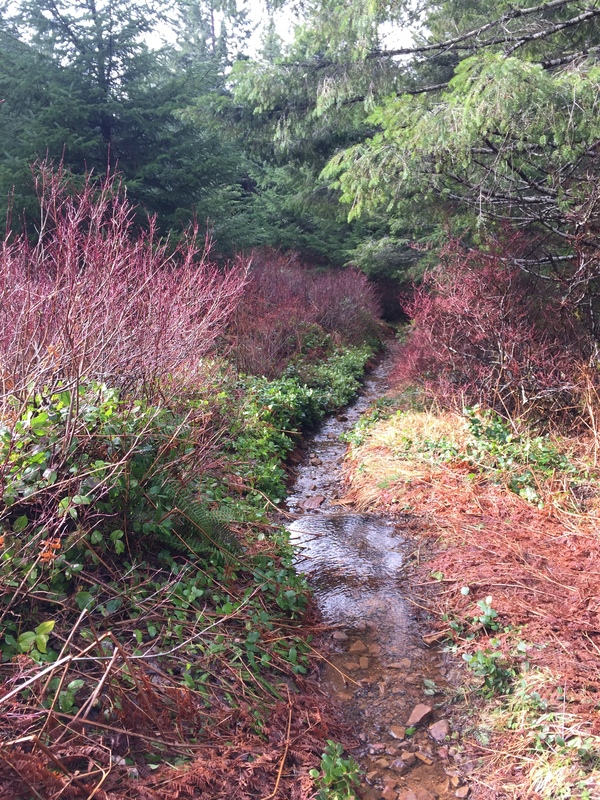 All in all, the scenery was spectacular — including Chitwood Creek falls that spill into Harts Cove — and the trail is easily reached from Lincoln City. This is a hike well worth your time. Getting there: Head north out of Lincoln City on Highway 101. From the intersection of 101 and Highway 18, go another 4 miles, which will be shortly after mile marker 102. 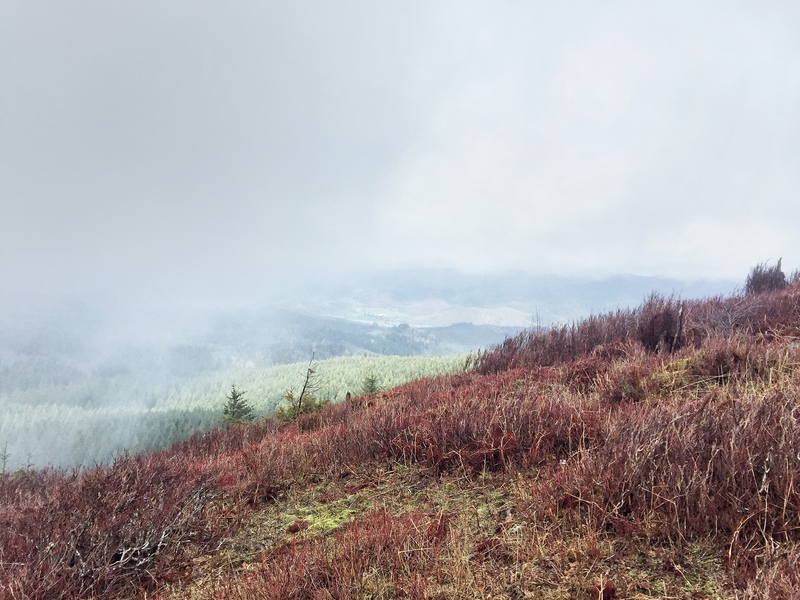 Look for a gravel road to the left — Cascade Head Road 1861; there will be a yellow gate at the road. From Jan. 1 to July 15, the gate will be closed, keeping vehicles off the road. From the gate, go 3.5 miles to the end of the road, where you’ll find the trailhead. A 240-foot long suspension bridge that hangs 100 feet over Drift Creek and overlooks the falls is the highlight of this relatively easy hike. The groomed path that leads from the trailhead to the falls is wide and accommodating, but you will descend more than 300 feet in the 1.5 miles or so it takes to reach the falls. On the return trip, you can take the north loop, which is not as wide or as well groomed and will add about .7 miles to the hike. 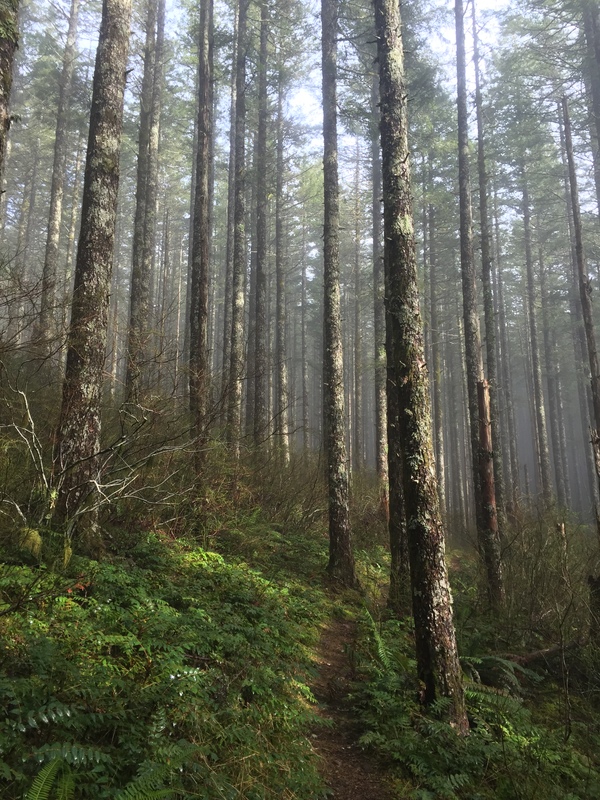 The trail is in the Siuslaw National Forest. There is a fairly large parking lot at the trailhead, and there is a good vault toilet there. 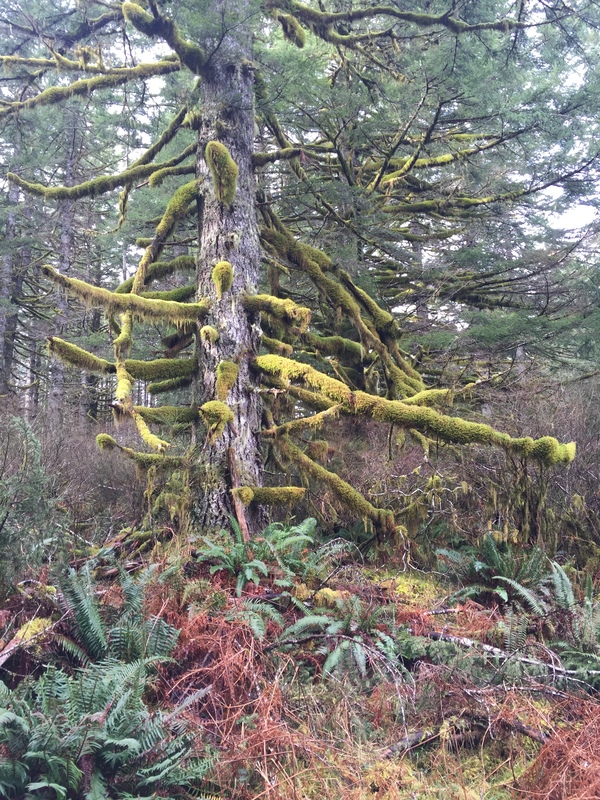 To reach the trailhead, head south out of Lincoln City on Highway 101 to mile marker 119. Turn east at Drift Creek Road. In about 1.5 miles, you’ll come to a “T” intersection. Turn right. Proceed for about a quarter mile, take a slight left onto a narrow, one-lane blacktop road. Follow this for 10.3 miles to the trailhead parking lot. This is a good road, but winding and narrow and there is two-way traffic. The way is well marked with signs to Drift Creek Falls.